We'd like to thank every Sueca player, which made us reach #1 position on the App Store, for a couple consecutive months! * ;) Thank you! If you're here, it's because you know what you want. 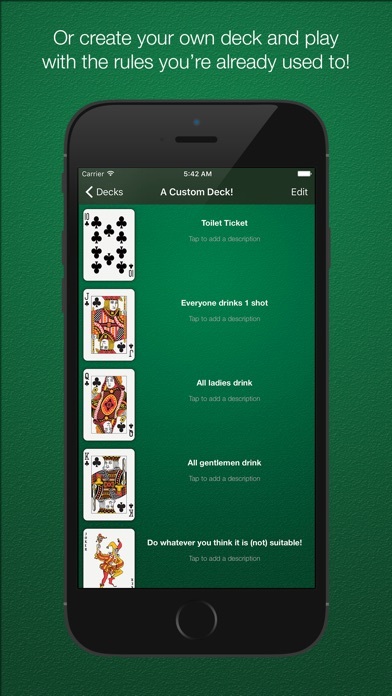 You're without playing cards, with some drinks, and want to have fun with your friends, right? So, while the app is being downloaded, read these almost useless information: - Play Sueca with the official rules, or create your own customised deck, with your own rules! - Review the app and maybe you are selected to take part in our promotions and giveaways, which the winner win prizes like bottles of drinks! 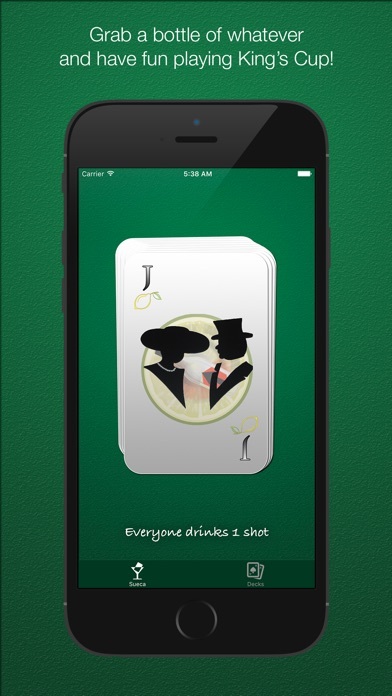 ;) Attention: you must have legal drinking age to use this app. 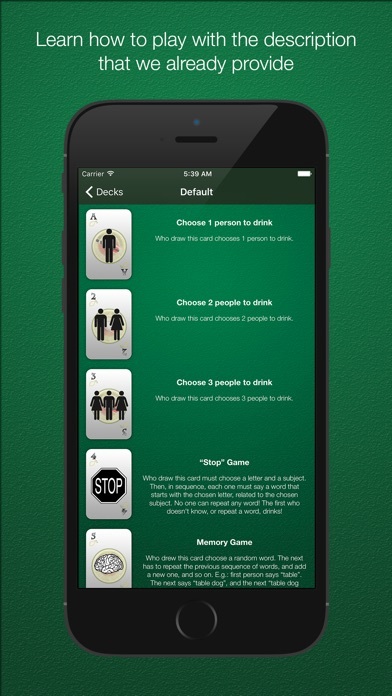 Drink with responsibility. If you're going to drive, do not drink. *In its category: Food & Drink.